Conducted Youth run by Bryan Puckett dependant on amount of Youth attendance. After last years Neath MC Xmas (Fancy Dress) trial low turnout, we would like to find out what day this year people would like to us to run the trial. As its a trial over the festive period, its difficult to find staff to run the event so we would love to see as many riders there as possible. 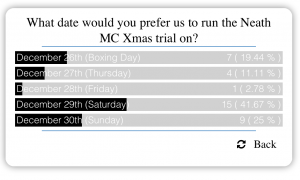 Please use a voting button below to pick which date you would prefer us to run the trial on. Trial will be run on the 29th December, Saturday. Details are in the calendar. Lap for the trial. Ignore the green dot. 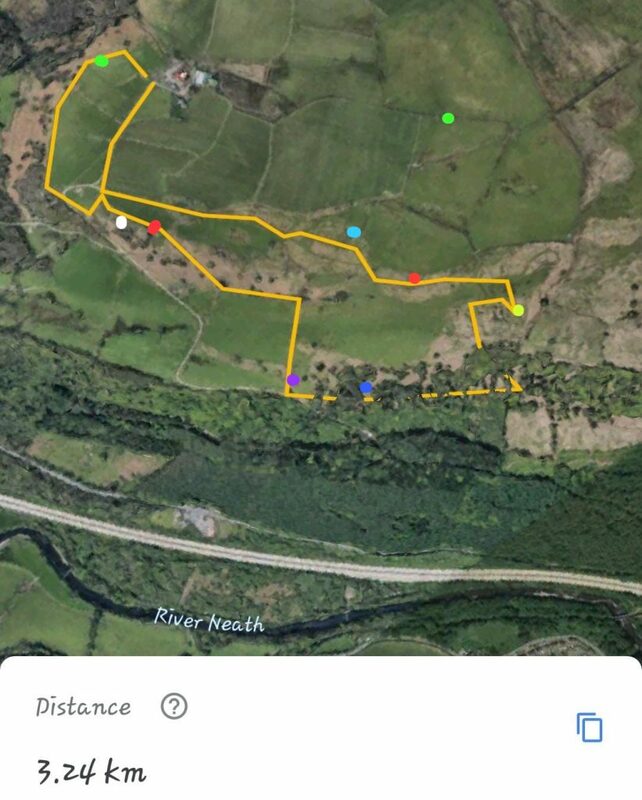 Thanks to Matthew for plotting the lap. There should be a good turn out as its not on a week day. Looking forward to this one, lets hope we have observers please or we go for plan B.